Travis Little finishing the competition of the CyberPatriot state round. photo by Hannah Monita. The CyberPatriots competed in the state round on Saturday Jan. 12. 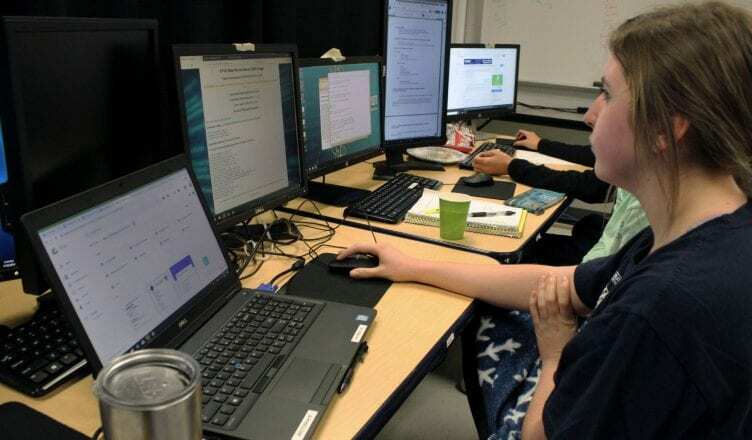 CyberPatriots are students who train and compete to help strengthen cybersecurity in the U.S. and protect the citizens from hackers, or cyber terrorism. 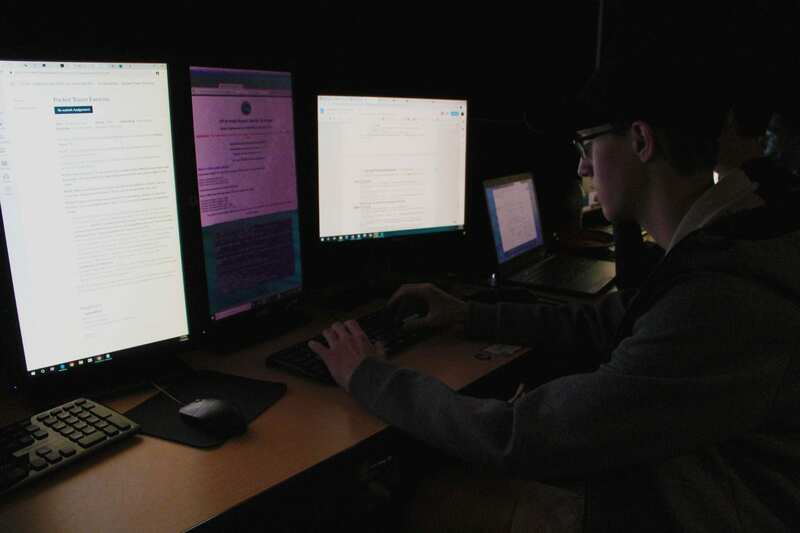 Handling computers is already difficult, but as the competition continues for the CyberPatriots, so do the difficulties of their challenges. To compete, the CyberPatriots split up into three different groups, one of them containing students from the computer science class. For some CyberPatriots the semi-finals aren’t their only goal.